Though I’ve lost touch with the franchise in recent years, there was a time in my childhood when the Pokémon series was a significant part of my life. I spent countless hours scouring the internet for more information about Pokémon Red and Blue. I even went as far as to translate Japanese websites in my attempt to understand what to expect from Pokémon Gold and Silver, which was still unreleased in North America at the time. Taking things an unnecessary step further, I even printed out seemingly never-ending walkthroughs and guides from GameFAQs — much to my parents’ and their printer’s dismay — and combined them into the ultimate Pokémon scrapbook compendium, which I, of course, then carried around with me everywhere. From that point on I played nearly every entry in the series, though roughly around the release of Pokémon X and Y, I decided the Pokémon franchise was no longer for me. The game was, in almost every sense of the phrase, nearly a perfect Pokémon title as far as I was concerned, particularly when it came to the title’s online functionality, yet I still wasn’t having fun playing it. This is when I realized that I likely had finally grown out of the Pokémon franchise, at least to some extent. Pokémon Let’s Go Pikachu and Pokémon Let’s Go Eevee, however, piqued my interest in the long-running series all over again. Developer Game Freak has presented the two new entries in the franchise as less intimidating Pokémon titles that follow the plot of Pokémon Yellow and are set in the Blue, Red and Yellow games’ Kanto region. The Switch Let’s Go titles are designed as an entry point for younger fans of Pokémon that have only played the far more easier to pick-up-and-play mobile title Pokémon Go. The inherent concept of a stripped-down version of the classic game I spent countless hours playing as a child seemed like precisely the type of Pokémon game for me. 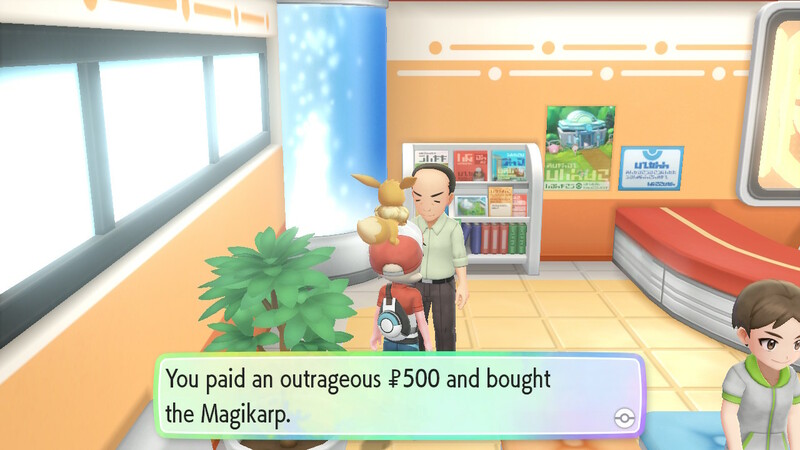 In most respects, I was correct in this assumption — Game Freak does an excellent job of bridging the gap between Pokémon Go and core entries in the series with Let’s Go, while still offering a deeper, more traditional Pokémon experience. Let’s Go features the same turn-based battles fans have come to expect from the series, along with classic Gym Leaders like Brock, Misty and Lt. Surge, as well as a few surprising plot twists for returning players. In other respects, this latest entry in the franchise is much simpler when compared to other core Pokémon titles. 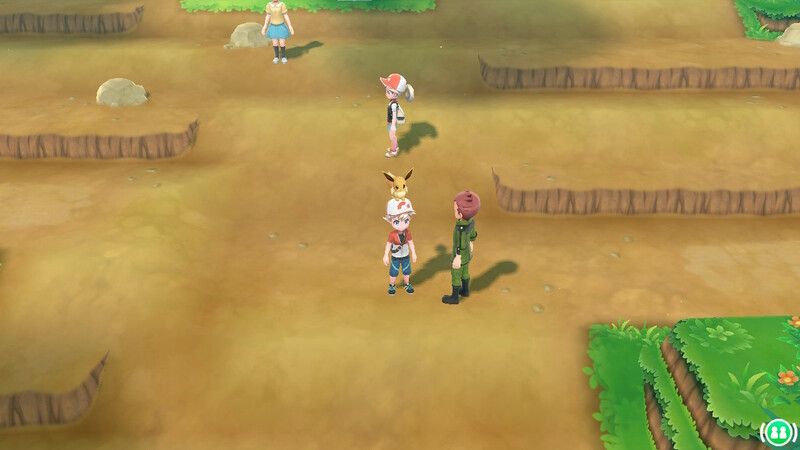 For example, the often annoying random encounters the series is known for are gone and in their place are actual physical representations of Pokémon roaming around the game’s world. This means that Pokémon like Onix, Electrode and Snorlax are indeed massive in Let’s Go. 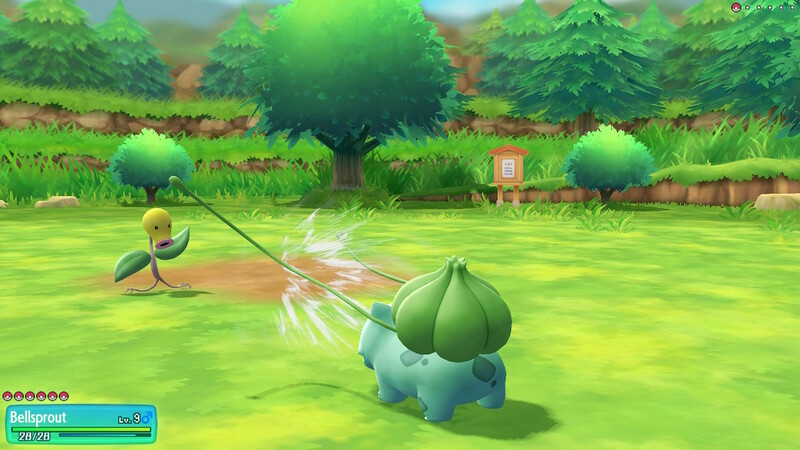 When you encounter one of these wandering wild Pokémon in Let’s Go, you don’t battle them. Instead, just like with Pokémon Go, your task is capturing the Pocket Monster, which in turn adds the creature to your party if there is space (you can have a total of six Pokémon with you), or sends it to your inventory. This mobile storage facility for all your Pokémon can also be accessed at any time. 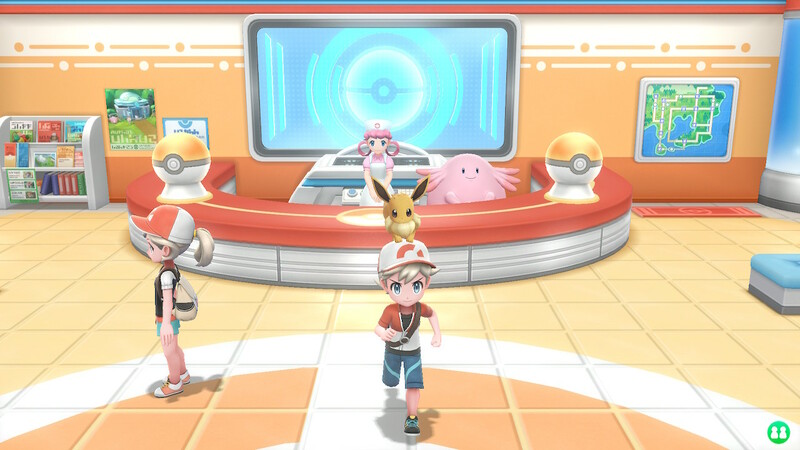 In the mainline Pokémon series games, creatures are sent to your PC when your party is full, which can then only be accessed from a Pokémon Center. While a change to the franchise’s now expected formula, I actually appreciated this shift as it encouraged me to battle with more varied types of Pokémon. The lack of a wild Pokémon battling mechanic when it comes to catching Pocket Monsters, also means that the creatures no longer need to be weakened before capturing them. Instead, you toss Pokéballs at the Pokémon either via Joy-con motion controls when playing Let’s Go with the console docked, or by shifting the Switch’s positioning when in handheld mode. If you mess up your throw too many times, the Pokémon typically runs away. While I initially assumed I’d miss the standard strategy of weakening a creature before capturing it, the intuitive and surprisingly strategic nature of tossing a Pokéball quickly grew on me. In fact, I hope this mechanic makes its way into other Pokémon titles in the future. There are other hand-holding changes to the game’s expected formula, too. You can’t enter some gyms unless your Pokémon have reached a certain level, or if you don’t have a Pocket Monster of a specific type in your party. Other familiar aspects of Red and Blue, such as puzzles I found particularly challenging to play through as an 11-year-old, have also been streamlined, or at the very least, are easier to understand. Even some of the more obtuse aspects of mainline Pokémon games, such as swapping out the starter in your party to ensure your entire team levels up, have changed. 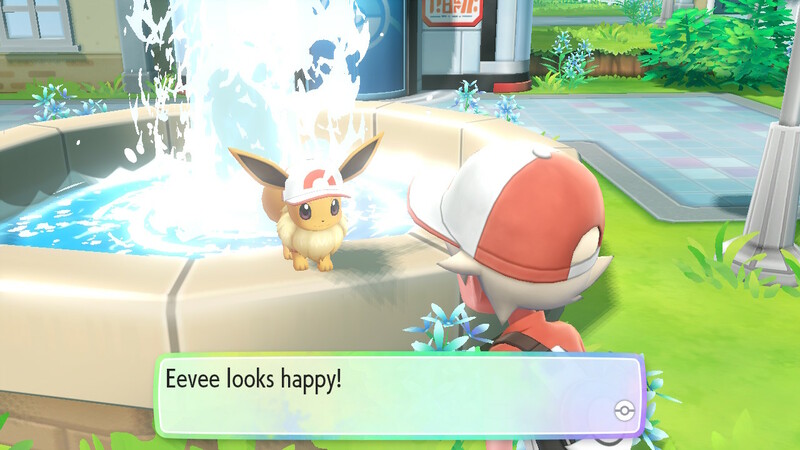 In Let’s Go, whether you’re battling random trainers or catching Pokémon, all creatures in your party will gradually level up and gain experience in the same way that they would in a standard Pokémon game if you had the ‘Exp. Share’ item turned on. As a 30-year-old who finally grew tired of the grinding required to progress through a Pokémon title, I consider all of the above design shifts welcome changes to the long-running franchise. In fact, given that playing through Red, Blue and Yellow’s world is an overwhelmingly nostalgic act for me — I didn’t play Pokémon FireRed or LeafGreen, the two Game Boy Advance remakes of the classic Game Boy titles — I found that these changes made playing the game a significantly more relaxing experience. Instead of always being concerned with levelling up my party or grinding my Pokémon to prepare for the next gym, I walked around and enjoyed Let’s Go‘s’ detailed world that’s complete with modern takes on the classic franchise’s various quirks. 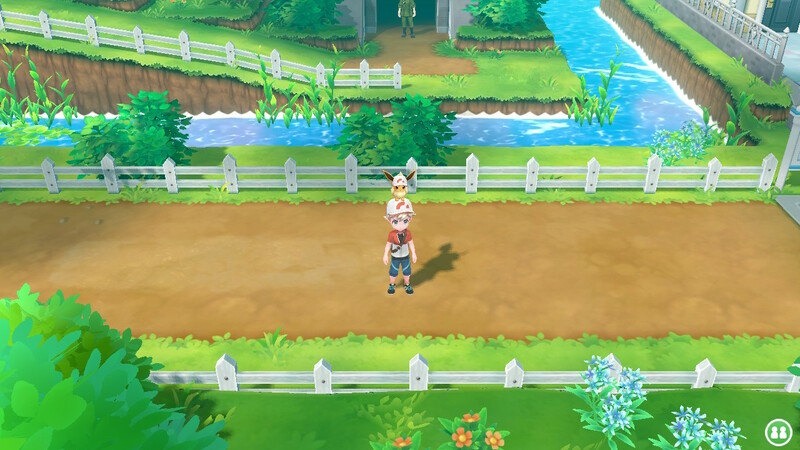 For instance, given that Pokémon are generally featured to scale in Let’s Go‘s version of the Kanto region, an Onix took up an entire character’s home, with its head not even fitting on the Switch’s screen. In that same vein, watching a large Chansey waddle through deep grass or a Diglett scamper across a tunnel was equally entertaining. It’s also fascinating to see the world I spent so many hours exploring as a child rebuilt with modern graphics that are, for the most part, great looking, though anti-aliasing issues are rampant both when playing in docked and handheld mode, similar to many other Switch titles. The game also features sprites that look like they were pulled directly from classic titles in the series , which is a nice touch for older players revisiting the Kanto region. That said, those who are still really into the core Pokémon series will likely find that the experience Let’s Go offers isn’t deep enough. This isn’t the game for Pokémon players that EV train their Pokemon, that is for sure. Those seeking a more traditional Pokémon video game experience will likely want to wait for the next main entry in the franchise that’s set to be released in 2019. 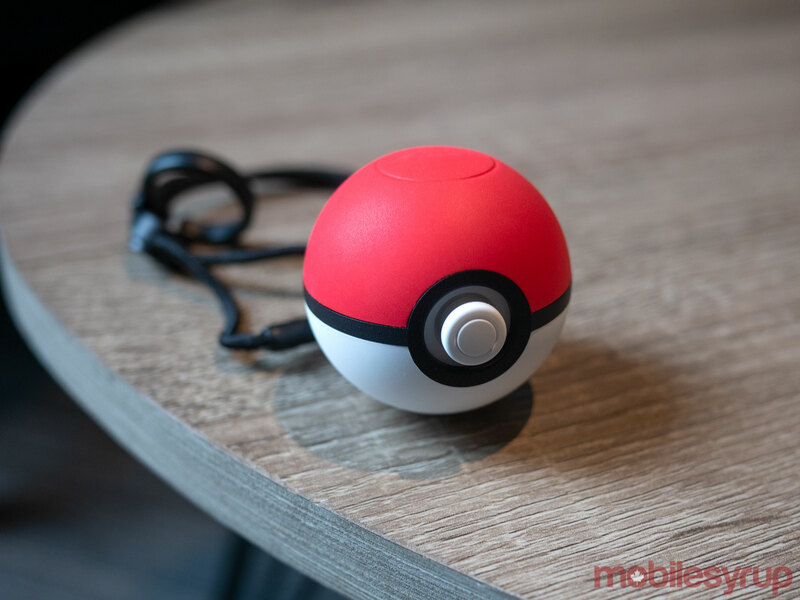 On a side note, along with Pokémon Let’s Go, The Pokémon Company is also releasing the Pokéball Plus, an almost comically small orb-like controller that can be used as a gamepad to play the game (it’s pictured in the header image of this story). It even lights up and makes sounds when you catch a Pocket Monster. 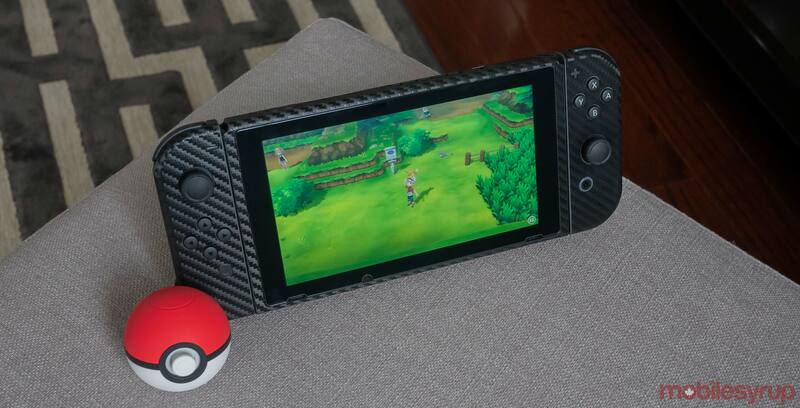 However, once the novelty wore off, I quickly switched to using a Joy-Con controller again because the Pokéball Plus feels incredibly cramped to use as an actual gamepad. You can take a Pokémon from the game and virtually put it in the Pokéball Plus, resulting in the creature levelling up as you walk around with the ball. The Pokéball Plus also allows players to get the mythical Pokémon Mew in either Pokémon Go or Pokémon Let’s Go, though not both titles — so choose which game you want Mew in wisely. Finally, it’s also possible to transfer Pokémon from Pokémon Go to Pokémon Let’s Go, but not from Let’s Go to Pokémon Go. This is a nice, though limited throwback to the Nintendo 64’s Pokémon Stadium and the Transfer Pak. I have yet to test this feature out because I haven’t made it to Fuchsia City, but I plan to update this story when I do, as well as to put together an additional article focused on the transfer feature. Pokemon Let’s Go Pikachu, Pokemon Let’s Go Eevee and the Pokéball accessory, are set to release on the Nintendo Switch on November 16th.